You cannot mix different standards easily on one DVD. The main video / movie would have to be doubled. It's hardly ever done. A separate DVD must be made for each standard. However a single DVD that has region restrictions turned off may be played anywhere in the world on a computer. 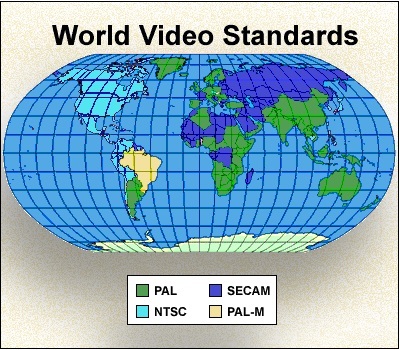 Each video standard requires a separate version of a DVD and separate versions of menus must be made. France & Middle East - SECAM (Sequential Couleur Avec Memoire or Sequential Colour with Memory) 625 lines & 50 frames / sec but transmits the colour information sequentially.